`Paper Boy` is a Feel Good Romantic Drama. An Engineering Graduate turned Paper Boy, Ravi (Santosh Shoban) falls in love with Dharani (Riya Suman), who is from a Rich Family. After getting to know his Good Nature, Dharani accepts Ravi and tries to convince her Family. Although all seem to be going well, few differences crop up. Can they overcome the Boundaries and succeed in love, forms the rest. Santosh is a Decent actor and is good in Emotional Episodes. Riya Suman gets an equally important role and is Okay. Tanya Hope plays an important supporting role and is good. Vidyullekha, Bithiri Sathi and others are adequate. `Paper Boy` is a Feel Good Romantic Drama with a time tested story line of a Rich Girl falling for Poor Boy and the conflicts & emotions that follow. The 1st Half of the film is dedicated for brewing the Romance and The 2nd half deals with the Conflict and Family Drama. `Paper Boy` has some very good Dialogues and is shot beautifully well especially considering its moderate budget. 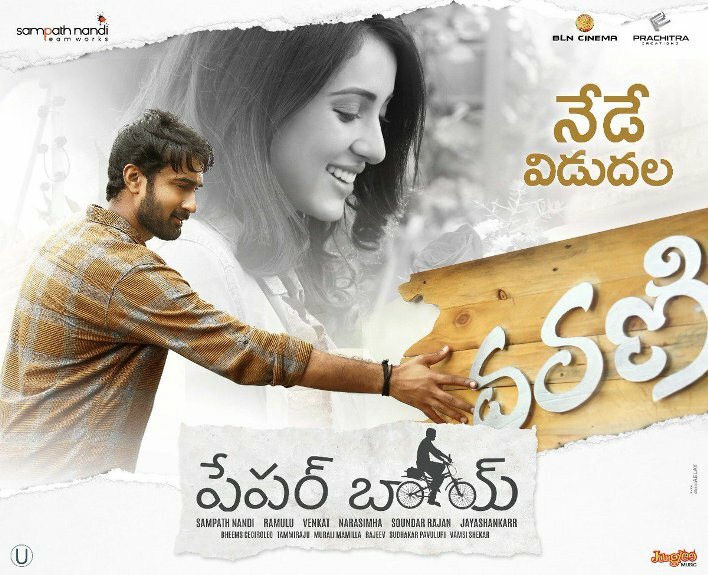 Although the Chemistry between the lead pair could have been better, the film regains the mojo with an Emotional Climax. Coupled with some Half Decent Entertaining episodes this probably is worth a try despite its share of flaws. Box-office Verdict : Has scope to become an Average Earner.